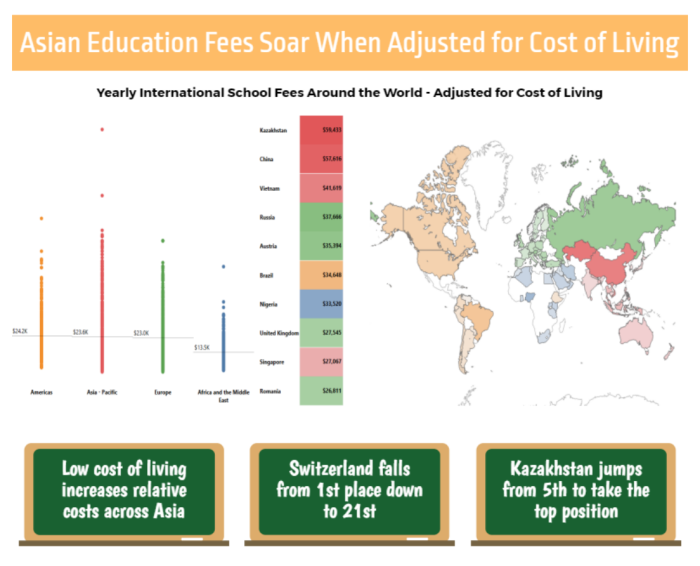 When relocating to another country with their families, besides considering their potential salaries, as well as the cost of the living of their city of relocation, expats also have to consider the cost of education, either for themselves, or for their children – which can be quite expensive at times. 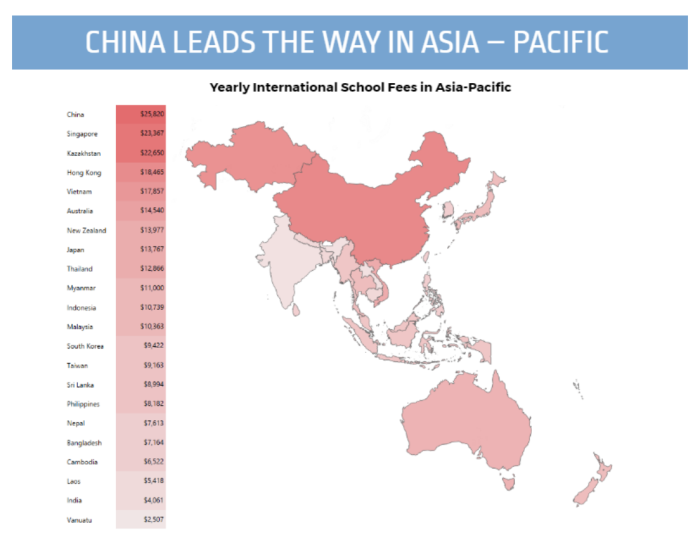 Based on ExpatFinder International School Fee Survey 2017, China leads the rankings as the most expensive country in Asia Pacific, and third in the world, while Singapore clinches the silver medal as the second most expensive country regionally, and fourth globally. 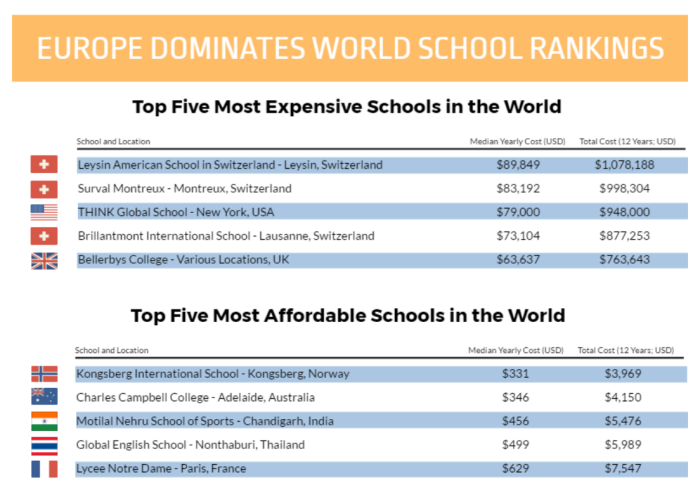 While comprehensive corporate relocation packages for expats are no longer the norm, companies are beginning to directly sponsor international schools instead, lowering the cost for all parents. Some companies are even working with external providers of education to set up their own corporate schools around the world, ensuring that their employees’ children can access a world-class education, even in the most unlikely places. 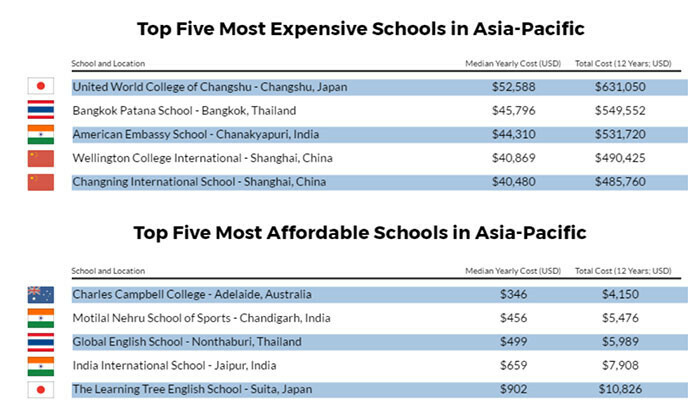 “More companies should adopt a procedure where if local schooling is adequate and available, then this should be considered, instead of searching for international schools at the start. This, of course, would entail a longer time frame for the entire service, but could result in cost savings for the company and a seamless educational transition for the employee’s children,” advised Naren Damodaran, executive/senior global mobility professional. Their dependence on the internet raises questions about whether employers should monitor or ban access at work. ..